So how do you refuel a ship like Investigator? 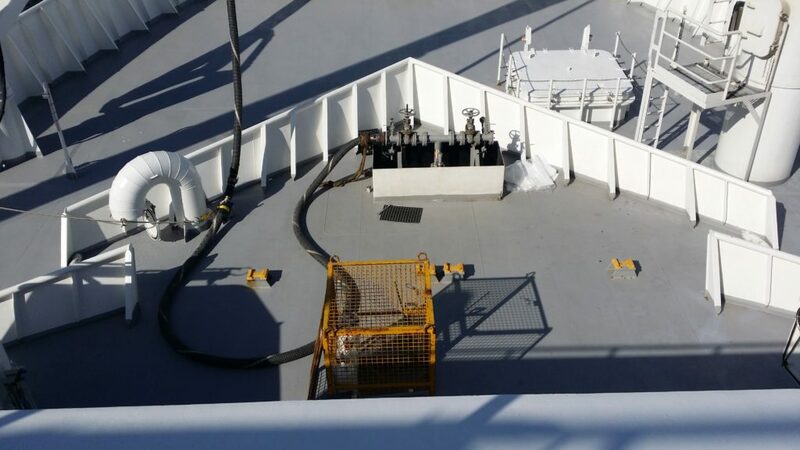 In the maritime industries refuelling a ship is called bunkering. This involves a jolly big ship, like the size of a container ship, which is full of diesel, and it pulls alongside the ship that needs refuelling and they pump it in. On Investigator, the inlet is in the bow of the ship. Here are some pictures that will show you how it’s done. 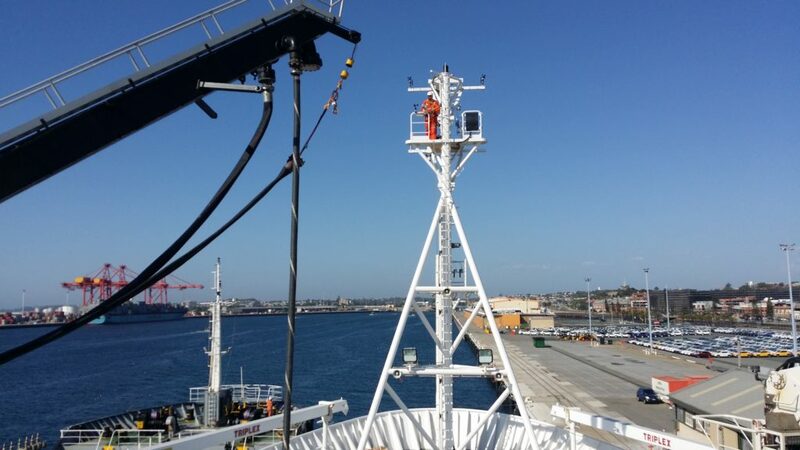 While we were bunkering in Fremantle, Mark Lewis from CSIRO was up the foremast doing some work, in his bright orange overalls and safety gear.